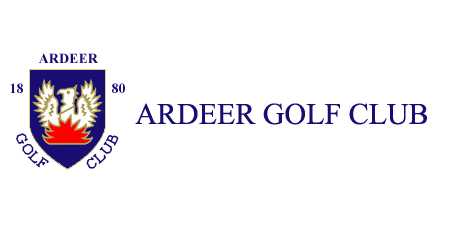 If you are planning a visit to Ardeeer make it a day, or short break away, in Ayrshire with exciting activities to keep everyone occupied, local restaurants and cafes that serve up delicious meals and places to spend a night or two that will leave you feeling relaxed and refreshed. When golf is the big draw golf we have curate a list of local courses that each provide a different challenge so you can create your own tour of the Ayrshire Links. First things first, you need to know the best way to get to us. Ardeer is easily accessible by road and within a short taxi ride of local train stations. The club is just over a mile from these stations, with Saltcoats providing the most direct route. Please note that prices are approximate and will vary by your actual pick up or drop off point. The Atlas fleet has a range of vehicles all of which include a driver. Their spacious vans can fit up to 16 passengers plus 16 sets of golf clubs: ideal if you want to visit local golf clubs without having to worry about the logistics. The club is located just off the A78. From Glasgow coming South from Glasgow, you can take the M77 or the A737. Both routes will get you from Glasgow city centre to the club in roughly the same time. From Ayr coming North, the A77 is the quickest route. Coming to the club via ferry arriving in Stranraer? The A77 runs right from the ferry terminal to the club. You can stay on the A77 all the way until the roundabout by Prestwick Airport. Just take the second exit (after the Premier Inn) and you can stay on the A78 all the way to here.